AIS Egypt is accredited by the Middle States Association of Colleges and Schools (MSA), Council of International Schools (CIS), the Egyptian Ministry of Education and is authorized by the International Baccalaureate Organization (IB) to offer the Diploma Program. We pride ourselves on our international recognition as we strive for educational excellence and are also a member of the European Council of International Schools, the Council of International Schools, the Near East/South Asia Council of Overseas Schools, the Mediterranean Association of International Schools and the Association for the Advancement of International Education. We are committed to the advancement of education across all areas of the curriculum, promoting and practicing the ideals and best practice of international education. The Middle States Association of Colleges and Schools is a non-governmental, voluntary organization of educational institutions acting through their respective Commissions. They are committed to excellence in all levels across the continuum of education and their purpose is to encourage, advance, assist and sustain the quality and integrity of education. During the early years, the Association held discussions on the standardization of academic credentials which led to the creation of the College Board and the Carnegie Unit as a way to assure the quality of academic offerings and the trustworthiness of the participating institutions. Accreditation, the ultimate and current mission of the Association, was introduced in 1919 and 1921 with the formation of the Commission on Higher Education (CHE) and the Commission on Secondary Schools (CSS) respectively. The Commissions established the concept of peer evaluation in the Region and contributed to the evolving collegiality between the two levels of education. In the years that followed, accreditation in the Middle States region and around the country defined the characteristics of quality in American secondary and higher education. The Middle States Association concentrated its efforts on accreditation activities. The original objectives of the Association that concentrated on the critique of American education shifted to national organizations of educational specialists. The Commission on Higher Education was located at Columbia University and the Commission on Secondary Schools at the University of Pennsylvania. The two Commissions created standards and protocols to accredit their institutions. In order to achieve these purposes in the public interest, the Association shall establish appropriate criteria and levels of educational excellence and effectiveness and work with other organizations, agencies and institutions to achieve co-operation and co-ordination between and among schools, colleges and universities. The International Baccalaureate is a nonprofit educational foundation, motivated by its mission and focused on the student. Their three programs for students aged 3 to 19 help develop their intellectual, personal, emotional and social skills to live, learn and work in a rapidly globalized world. Founded in 1968, they currently work with 2,508 schools in 132 countries to develop and offer three challenging programs to over 680,000 students aged 3 to 19 years working in close co-operation with world schools. The Diploma Program for students aged 16-19 is a demanding two-year curriculum leading to the final examinations and a qualification that is welcomed by leading universities around the world. The European Council of International Schools (ECIS) is a collaborative network promoting the ideals and best practice of international education. ECIS leads in addressing significant current and future educational and global issues in support of its membership in Europe and worldwide. It acts as a catalyst for the advancement of internationalism through education and is dedicated to providing and facilitating opportunities for professional development. The organization strives to support the development and evaluation of a school's curriculum and instruction while promoting a close relationship with organizations engaged in the writing of curriculum. It is committed to continuous self improvement and constructive dialogue with all its members in the pursuit of educational excellence through continuous constructive dialogue. 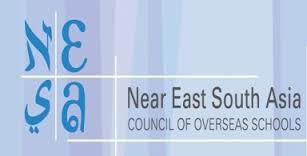 The Near East South Asia Council of Overseas Schools (NESA) is a non-profit, voluntary association of more than 90 private, independent international schools in the Near East and South Asia, a region stretching from Libya, Greece and Egypt in the west, to Nepal, Bangladesh and Sri Lanka in the east. Regular member schools follow an American international college preparatory curriculum and typically serve students in more than four dozen nationalities. What unites NESA is our commitment to offering students the best possible education by promoting professional and personal links among educators. The Mediterranean Association of International Schools is a professional organization that strives to improve the quality of education in its Member schools through several venues. It promotes the professional development of Faculty, Administrators and School Board Members, effects communication and interchange and creates international understanding. MAIS serves as a liaison between its 30 Member Schools, host country schools, Associate Member organizations and other regional professional and in-service organizations. At present, MAIS is composed of schools in Spain, Italy, Portugal-France, Morocco, Tunisia, Egypt and Cyprus. In addition, several Associate Members, such as schools outside the Mediterranean region, colleges, businesses and interested individuals, support MAIS endeavors and have joined the organization. The Association for the Advancement of International Education is a dynamic global community providing a forum for the exchange of ideas and research concerning development in the field of international education and school leadership. They strive to advance international education through partnerships with educational institutions and associations worldwide. AAIE membership includes school heads and other administrators, university professors and representatives, international school counselors and teachers, U.S. State Department Officials and others who wish to promote international education through participation in its global forum. The association beliefs include trust, loyalty and communication, an adherence to professional standards, effective and open communication and dedication to the provision of superior and effective international education.